Breaking Bands Festival may only be live for 3 days of live music but its definitely an all year round event! The organisers working daily on the development of the festival, improvements and even better value for money. Festival Director Jay McGuire said “we have been working with Bruce and his team behind the scenes for a long time now. Our paths cross all the time because of the work we do. Having this sponsorship with WaterBear is another stamp of approval for us as a festival. The work that WaterBear is doing within the music scene and education is fantastic and we are very excited about what is going to happen at the festival with them on board next year”. WaterBear are looking for fresh young bands for a number of slots at Breaking Bands Festival next year. Acoustic/solo acts or full electric acts but those who are aged 16-20 and currently in education. Its important to the festival and WaterBear to help bring in developing bands to perform alongside some of the countries best rising bands. Bruce will be personally handling applications for these young bands so if you fit the bill and you’d like to be a part of the 5th Anniversary of the award winning community festival, get in touch by emailing bruce@wbear.io with your band videos, links and a bio. Tickets are still on sale for the festival but there are just over 50 weekend tickets left. 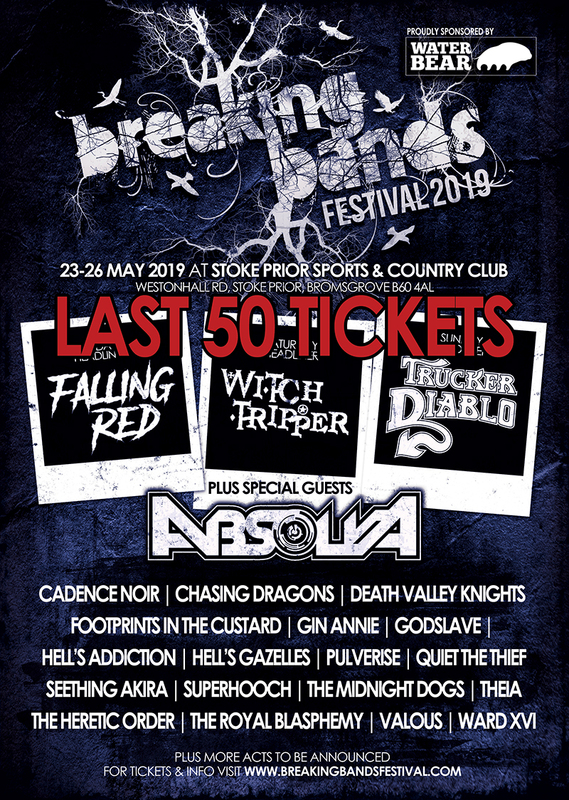 Check out www.breakingbandsfestival.com for more details and ticket links.